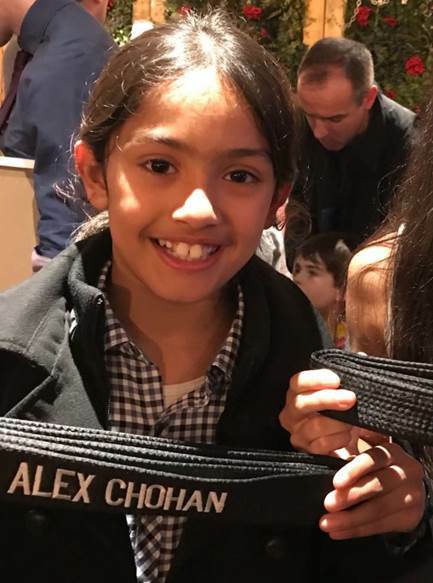 This is Alex Chohan who plays for the U11 Kestrels. When he’s not playing for Mytchett, Alex is a committed student of Lau Gar Kickboxing. He’s been training since the tender age of 3 and last month completed his black belt grading. Alex has demonstrated the core principals of martial arts over the years of self-discipline, commitment, perseverance and integrity. Currently competing at an international level – we look forward to seeing Alex return with gold from the World Kick Boxing Championships held in Athens this year.